Japan is aiming at doubling the balance of inward foreign direct investment by 2020. In order to achieve this goal, we are making Japan friendlier for markets and more exciting for investors. We interviewed CEOs of global companies in Japan and to find out what they found about the attractiveness of business in Japan. Based on these interviews, Japan has five key advantages that make it an attractive place to do business. 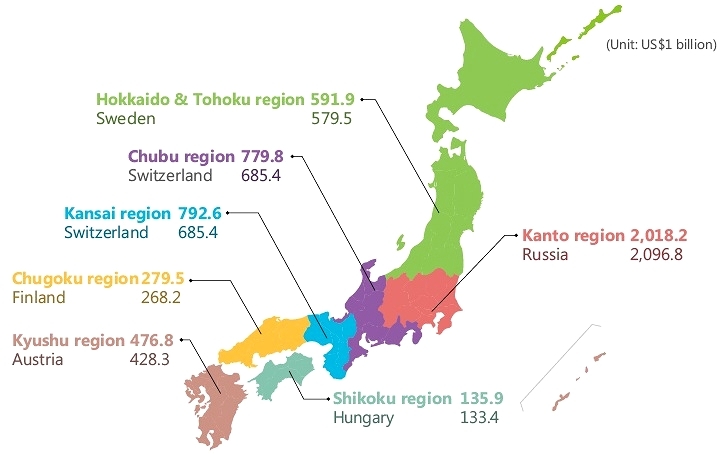 These are: a large sophisticated market, Japan’s role as an innovation hub, the quality of its employees, the comfortable living environment and the reliability of its partners. Please check these opinions of these leading CEOs. We hope that the voices in these interviews will help you better understand the attractiveness of the Japanese market. Company: AXA Life Insurance Co., Ltd.
*AXA Life Insurance is the Japanese arm of the AXA Group, a worldwide leader in insurance and asset management. *Ikea is the world's largest home furnishings retailer with the vision "to create a better everyday life for many people." *Caterpillar is the world’s leading manufacturer of construction and mining equipment, diesel and natural gas engines, industrial gas turbines and diesel-electric locomotives. *The Coca-Cola Company is the leading company of non-alcoholic beverage industry in the world. *Delta is one of the world’s largest global airlines, serving more than 170 million customers each year. * Dow combines the power of science and technology to passionately improve what is essential to human progress. 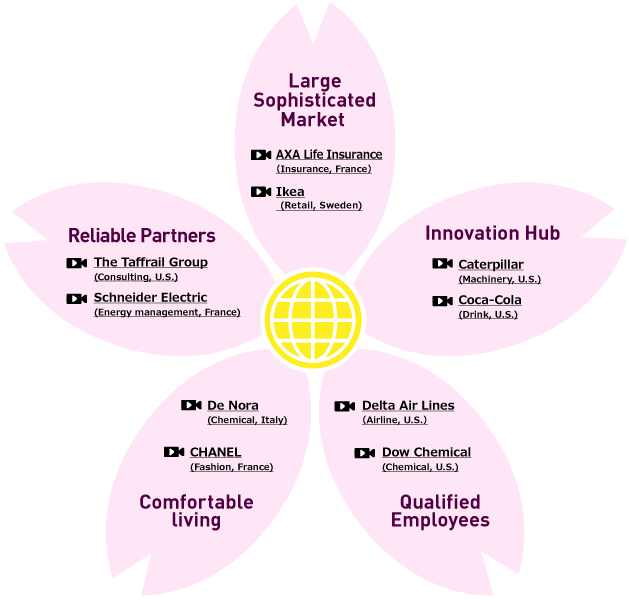 Dow's portfolio of specialty chemical, advanced materials, agrosciences and plastics businesses delivers a broad range of technology-based products and solutions. Source: METI ”Survey on Attitudes of Foreign-Affiliated Companies toward Direct Investment in Japan Report 2016"
*De Nora is an innovative electrochemical technology company using chemical products. *CHANEL is the global luxury brand creating high quality products in fashion, watch and fine Jewelry, fragrance and beauty. *The Taffrail Group is the Japanese branch of a consulting company founded and headquartered in Atlanta, U.S.
Company: Schneider Electric Japan, Inc.
*Schneider Electric is a global specialist in energy management with operations in more than 100 countries.